Henry Segerman: "Perhaps my most effective work is “Grid (stereographic projection)”. 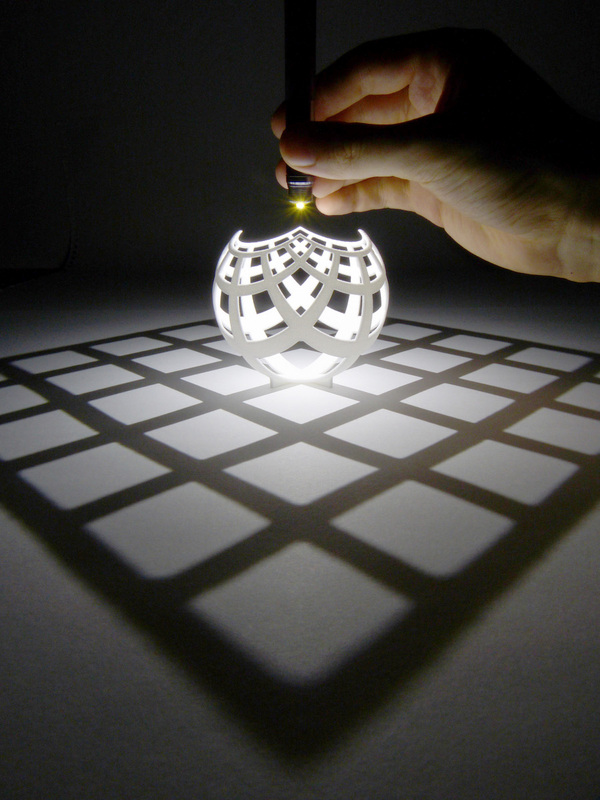 A light placed at the top of a 3D printed sphere casts a surprising square grid shadow." If he was surprised I'd assume he didn't know what conformal mapping was prior. What an amazing coincidence to wind up with tat sphere! Henry Segerman got a PhD at Stanford. I think he meant "surprising to the layperson".